Polish socialist and communist activist and journalist Stefan Arski, aka Artur Salman, was among several communist agents of influence who had worked on Voice of America (VOA) radio programs during World War II while employed by the U.S. government Office of War Information (OWI). Arski and several of his Voice of America colleagues on the Polish desk supported Soviet-communist takeover of the government in Poland and in other countries in Central and Eastern Europe. Pro-Soviet Voice of America journalists also covered up Stalin’s crimes with Soviet-originated lies and propaganda. After leaving his U.S. Government position, Arski worked briefly after the war as American correspondent of the Warsaw Socialist newspaper, Robotnik. 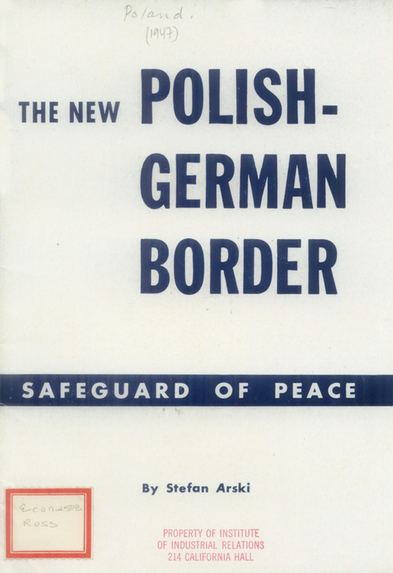 During that time, he authored a booklet on Poland’s Western border published in 1947 by the Polish communist regime’s embassy in Washington. Arski later returned to Poland. In 1948, he joined the newly established Polish United Workers Party (Soviet-dominated communist party) and became deputy editor-in-chief of the party’s newspaper, Trybuna Ludu, where he published anti-American propaganda articles. He also wrote a number of propaganda books attacking the United States and its policies. His communist links and activities while employed at the Voice of America were exposed during hearings in the U.S. Congress in the 1950s which also revealed allegations of collusion between American officials of the Roosevelt administration in charge of VOA and Soviet propagandists. These allegations were later confirmed by declassified U.S. government documents. Roosevelt administration officials in charge of VOA during World War II denied Soviet responsibility for the murder of over 20,000 Polish military prisoners of war, known as the Katyń Forest massacre. Arski and others helped to spread Soviet disinformation about Katyń in VOA radio programs. After his return to Poland, he continued to promote the Soviet lie about Katyń and in his propaganda articles and books attacked members of the U.S. Congress who in in the early 1950s launched an investigation of the Soviet massacre of Polish POWs. Stefan Arski died in Warsaw in 1993. Even after the departure of Arski and several other communist agents of influence from the Office of War Information (abolished in 1945), it took several years to change VOA’s pro-communist line established during World War II. Polish journalists hired after the war, including anti-Nazi war hero Zofia Korbońska, eventually turned VOA into a radio station committed to truth and supporting freedom from communist totalitarianism. They helped to put an end to several years of secret collusion aimed at bringing Soviet communist propaganda to VOA audiences during the early years of its existence. By 1952, VOA stopped covering up Stalin’s crimes and was no longer reluctant to counter Soviet propaganda. 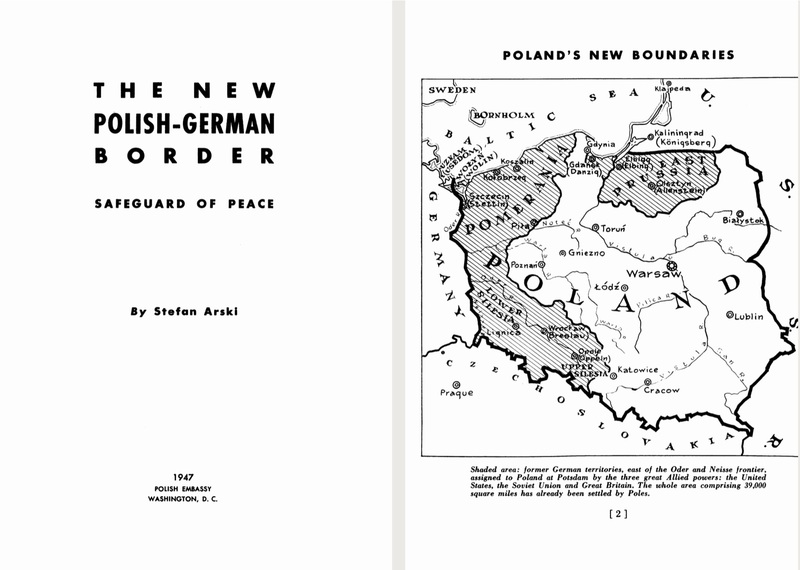 The photo shows the title page of Stefan Arski’s 1947 book, “The New Polish-German Border: Safeguard of Peace” published by the Polish (communist) Embassy in Washington, D.C. 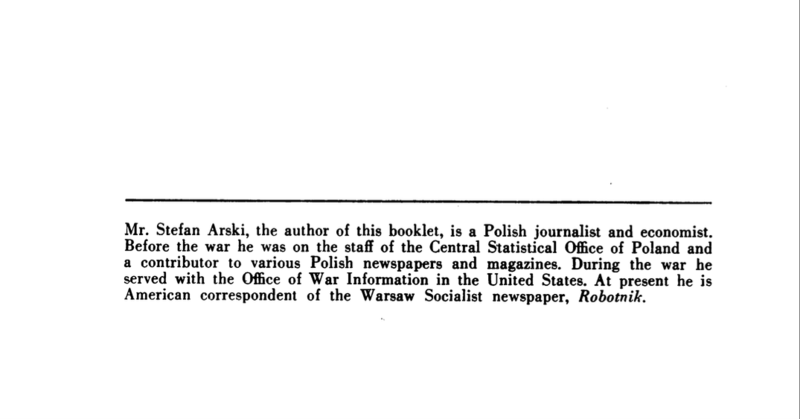 The biographical note at the end of Arski’s book published in 1947 by the Polish communist embassy in Washington identifies his connection to the U.S. Office of War Information where the Voice of America radio programs originated during World War II. 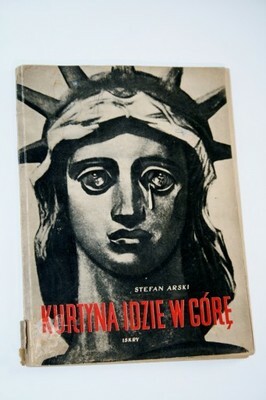 Featured Image:”Kurtyna idzie w górę” by Stefan Arski. Cover by T. Trepkowski and St. Ostrowski. Published by Wydawnictwo Iskry, 1954. An important piece on history of VOA that few, if any, people knew about.